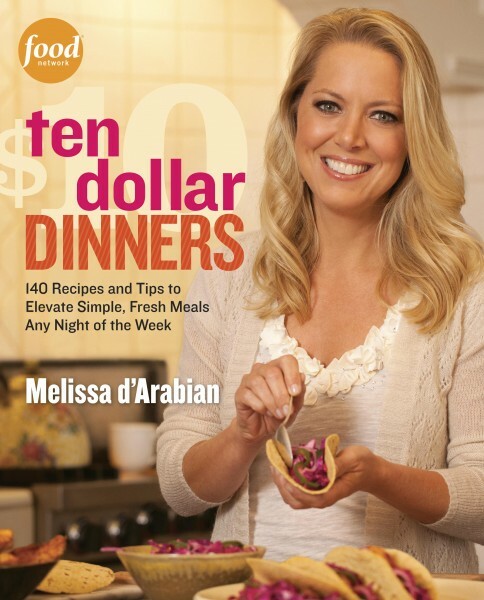 Delivering on her unwavering $10 promise of dinner for four, Melissa’s debut cookbook empowers home cooks with 140 satisfying recipes and 100+ tried-and-true tips – all part of a bigger story about eating well, being a responsible consumer and spending with purpose. Rooted in her personal money-saving strategies, ingredient-managing techniques and family-tested meals, Melissa proves that cooking on a budget doesn’t mean compromising on quality, flavor or nutrition. Her ideal pantry snapshot provides a roadmap to creating affordable meals without worry, while her useful cost coding system offers the flexibility to mix-and-match countless $10 menus for every craving and all occasions – whether a Tuesday night family dinner or a Saturday night entertaining spread. With 11 robust chapters (Appetizers & Snacks, Soups, Salads, Pasta, Chicken, Fish & Seafood, Pork & Beef, Vegetables, Starchy Sides, Desserts, and even Breakfast), this cookbook – chock-full of mouthwatering color photographs – will undoubtedly be every home cook’s go-to resource. Read the press release here. Click here for a sneak peek inside the book including three tasty recipes – flavorful Mustard Chicken, crave-worthy Roasted Broccoli with Parmesan, and Melissa’s impressive Classic Apple Tart – plus the book’s introduction complete with cost coding system details, table of contents, and details how to order.